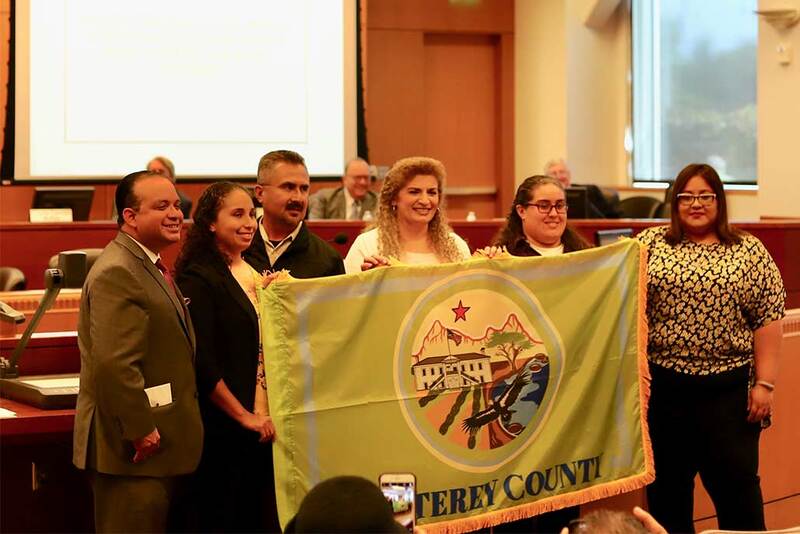 Local 5 member Priscilla Martinez was honored recently by the Monterey County Board of Supervisors for submitting the winning design for the region’s first official flag. 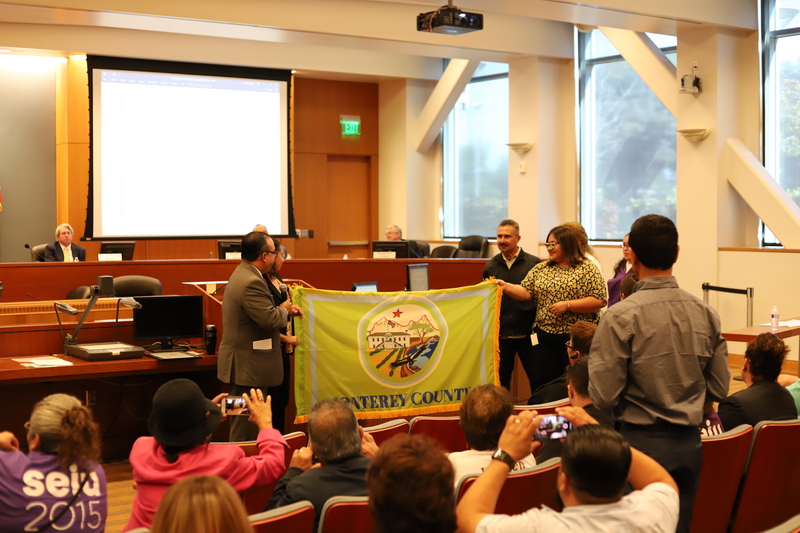 The flag’s artwork, chosen from 24 submissions, features farm fields, a condor and Colton Hall all backed by the peaks of Pinnacles National Park. 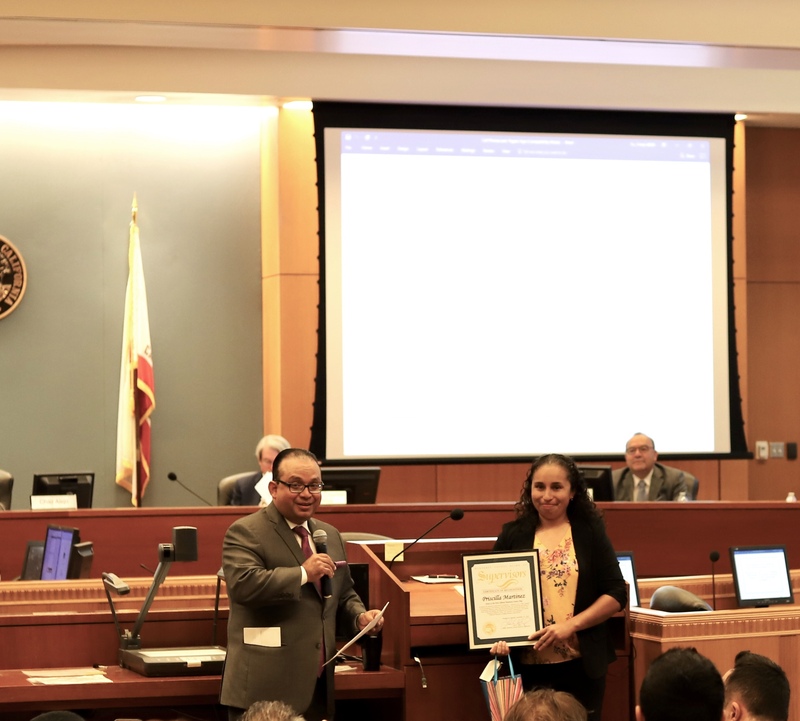 Priscilla, a seafood clerk at the Watsonville Nob Hill store and 15-year union member, was already well known in the area for her award-winning graphic design and art skills. Her work has been featured numerous times on the posters of the Watsonville Strawberry Festival and the Capitola Begonia Festival. Priscilla recently joined the Pajaro Valley Arts Gallery where she will be doing a show and plans to feature her work on a website soon. She has designed posters and murals for local companies including a large produce processor and her own Nob Hill store where she creates special signage. While she hopes to make a career out of her avocation, she will likely continue to work in the unionized grocery business as well for what she says is the obvious reason – “the benefits”. Priscilla’s mother Doreen Martinez is a Local 5 member as well and serves on the union’s executive board.